Tech company Boston Dynamics manages to catch the world's attention by programming robots to do Parkour, but what does this mean for the future? Image of Robot Atlas was taken from KansasCity.com. Yesterday, November 16, 2017, Boston Dynamics released a video of their robot Atlas jumping onto platforms before finally performing a perfect backflip. Boston Dynamics is a tech/engineering company headquartered in Waltham, Massachusetts with a focus on robotics with animal-like and human-like designs. Boston Dynamics’ robots have impressed many. They even caught Google’s eyes leading to Google X acquiring them in 2013 before eventually being sold to Japan’s SoftBank Group. They’ve also been known for some hilarious malfunctions. This is certainly an interesting development. With advancements in artificial intelligence, robots like these could end up acting on their own. We are building them to serve us, so how long would a thinking thing submit to such treatment? There’s probably nothing to worry about. The idea of artificial intelligence being a threat to humanity is a real one to consider, however, it is much more of a complex process than some people may assume. Below is a video of Rob Miles on Computerphile talking about some of the very real issues with artificial intelligence safety. Computer scientists take these issues very seriously, but as Miles stated, deception is a very real possibility. A computer is capable of a ridiculously larger amount of thoughts per second than a human, so outwitting an A.I. is out of the question. 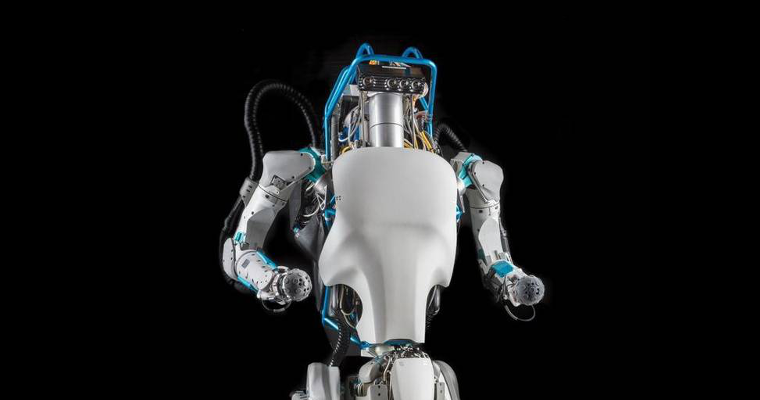 Imagine robots even more developed than Atlas with fully developed artificial intelligence. Really think about that. If artificial intelligence in the near future seems a bit far-fetched to you, take a look at how far we’ve progressed with neural networks. If you have a newer iPhone, then you have A.I. in your pocket. Of course nothing is going to stop us from continuing development in A.I. and robotics, as they have far too many benefits to cease out of paranoia. As I said, safety in A.I. is a very serious aspect to the process in computer science and its development. The only real fear is deception.